For the surname, see Abruzzo (surname). "Abruzzi" redirects here. For other uses, see Abruzzi (disambiguation). Abruzzo (Italian: [aˈbruttso]; Aquiliano: Abbrùzzu) is a region of Southern Italy with an area of 10,763 square km (4,156 sq mi) and a population of 1.2 million. 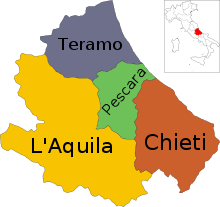 It is divided into four provinces: L'Aquila, Teramo, Pescara, and Chieti. Its western border lies 80 km (50 mi) east of Rome. Abruzzo borders the region of Marche to the north, Lazio to the west and south-west, Molise to the south-east, and the Adriatic Sea to the east. Geographically, Abruzzo is divided into a mountainous area in the west, which includes the Gran Sasso d'Italia, and a coastal area in the east with beaches on the Adriatic Sea. Abruzzo is considered a region of Southern Italy in terms of its culture, language, history and economy, although geographically it may also be considered central. The Italian Statistical Authority (ISTAT) deems it to be part of Southern Italy, partly because of Abruzzo's historic association with the Kingdom of the Two Sicilies. Abruzzo is known as "the greenest region in Europe" as almost half of its territory, the largest in Europe, is set aside as national parks and protected nature reserves. There are three national parks, one regional park, and 38 protected nature reserves. These ensure the survival of 75% of Europe's living species, including rare species such as the small wading dotterel, the golden eagle, the Abruzzo (or Abruzzese) chamois, the Apennine wolf and the Marsican brown bear. Abruzzo is also home to Calderone, Europe's southernmost glacier. The visiting nineteenth-century Italian diplomat and journalist Primo Levi (1853–1917) said that the adjectives "forte e gentile" (strong and gentle) best describe the beauty of the region and the character of its people. "Forte e gentile" has since become the motto of the region and its inhabitants. 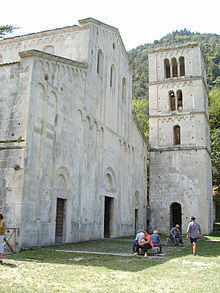 The church of Santa Maria di Collemaggio in L'Aquila, as it was before the devastating earthquake of 6 April 2009. Human settlements in Abruzzo have existed since at least the Neolithic times. A skeleton from Lama dei Peligni in the province of Chieti dates back to 6,540 BC under radiometric dating. The name Abruzzo appears to be derivative of the Latin word "Aprutium". In Roman times, the region was known as Picenum, Sabina et Samnium, Flaminia et Picenum, and Campania et Samnium. The region was known as Aprutium in the Middle Ages, arising from four possible sources: it is a combination of Praetutium, or rather of the name of the people Praetutii, applied to their chief city, Interamnia, the old Teramo. Many cities in Abruzzo date back to ancient times. Corfinio was known as Corfinium when it was the chief city of the Paeligni, and later was renamed Pentima by the Romans. 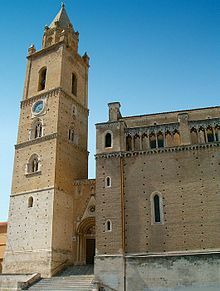 Chieti is built on the site of the ancient city of Teate, Atri was known as Adria. Teramo, known variously in ancient times as Interamnia and Teramne, has Roman ruins which attract tourists. After the fall of the Roman Empire, there were a string of invasions and rulers in the region, including the Lombards, Byzantines, Muslims, and Hungarians. Between the 9th and 12th centuries, the region was dominated by the popes. Subsequently, the Normans took over, and Abruzzo became part of the Kingdom of Sicily, later the Kingdom of Naples. Spain ruled the kingdom from the sixteenth to the eighteenth centuries. The French Bourbon dynasty took over in 1815, establishing the Kingdom of the Two Sicilies, and ruled until Italian unification (also known as the Risorgimento) in 1860. Until 1963, Abruzzo was part of the Abruzzi region with Molise. 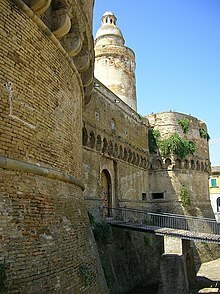 The term Abruzzi (plural of Abruzzo) derives from the time when the region was part of the Kingdom of the Two Sicilies. The territory was administered as Abruzzo Citeriore (nearer Abruzzo) and Abruzzo Ulteriore I and II (farther Abruzzo I and II) from Naples, the capital of the kingdom. Abruzzo Citeriore is now Chieti province. Teramo and Pescara provinces now comprise what was Abruzzo Ulteriore I. Abruzzo Ulteriore II is now the province of L'Aquila. In the twentieth century, war had a great impact on the region. During the Second World War, Abruzzo was on the Gustav Line, part of the German's Winter Line. One of the most brutal battles was the Battle of Ortona. Abruzzo was the location of two prisoner of war camps, Campo 21 in Chieti, and Campo 78 in Sulmona. The Sulmona camp also served as a POW camp in World War 1; much of the facility is still intact and attracts tourists interested in military history. Geographically, Abruzzo is located in central Italy and southern Italy, stretching from the heart of the Apennines to the Adriatic Sea, and includes mainly mountainous and wild land. The mountainous land is occupied by a vast plateau, including Gran Sasso, at 2,912 metres (9,554 ft) the highest peak of the Apennines, and Mount Majella at 2,793 metres (9,163 ft). The Adriatic coastline is characterized by long sandy beaches to the North and pebbly beaches to the South. Abruzzo is well known for its landscapes and natural environment, parks and nature reserves, characteristic hillside areas rich in vineyards and olive groves, and one of the highest densities of Blue Flag beaches. The Abruzzo region has two types of climate that are strongly influenced by the Apennine Mountains, dividing the climate of the coastal and sub-Apennine hills from the interior's high mountain ranges. Coastal areas have a Mediterranean climate with hot dry summers and mild winters and rainy hills with a sublittoral climate where temperatures decrease progressively with increasing altitude and precipitation with altitude. Precipitation is also strongly affected by the presence of the Apennines mountain ridges of the region; it increases with the proportion being more abundant in the field and on the slopes exposed to the west, instead of decreasing towards the east and east-facing slopes. Often the Adriatic coast are sidelined rainfall from the west to the barrier effect of the Apennines undergoing the action of gentle winds descending from it (or Libeccio). The minimum annual rainfall, however, is found in some inland valleys, sheltered from much disturbance to the blocking action of mountain ridges, such as the Peligna Valley, or the valley of the river Tirino, which in some places (Ofena, Capestrano) showed barely 500 millimetres (19.7 inches), and not along the coast where it never falls below 600 millimetres (23.6 inches); for if Teramo is relatively little watered by rain (Teramo less than 800 millimetres (31.5 inches)), the metre is exceeded in Chieti, reaching maximum levels in the Adriatic, while between Ortona and Vasto in Costa dei Trabocchi decrease again. The highest rainfall occurs in upland areas on the border with Lazio; they are especially vulnerable to Atlantic disturbances. Around 1,500 to 2,000 millimetres (59 to 79 inches) of precipitation is typical (Pescara in 2010 showed a value close to 2,800 millimetres (110.2 inches)). As with many Mediterranean regions, Abruzzo's vegetation is characterized by different Mediterranean ecosystems. The coast and the surrounding areas are characterized by the presence of typical plants of Mediterranean shrubland, such as myrtle, heather and mastic, while in the hilly areas other species grow, including olive, pine, willow, oak, poplar, alder, arbutus, broom, acacia, capers, rosemary, hawthorn, licorice and almond trees, interspersed with oak trees. At elevations between 600 and 1,000 metres (2,000 and 3,300 ft) there is sub-montane vegetation, mainly characterized by mixed forests of oak and turkey oak, maple and hornbeam; shrubs include dog rose and red juniper. Elevations between 1,000 and 1,900 metres (3,300 and 6,200 ft) are dominated by beech trees. In the Apennine Mountains at elevations above 2,000 metres (6,600 ft) species include alpine orchid, mountain juniper, silver fir, black cranberry and the Abruzzo edelweiss. The fauna of Abruzzo is highly varied, including the region's symbol, the Abruzzo chamois (Rupicapra pyrenaica ornata), which has recovered from near-extinction. Animals typical of this region include: marsican brown bear, along with Italian wolf, deer, lynx, roe deer, snow vole, fox, porcupine, wild cat, wild boar, badger, otter, and viper. The natural parks of the region include the Abruzzo National Park, the Gran Sasso and Monti della Laga National Park, the Maiella National Park and the Sirente-Velino Regional Park, as well as many other natural reserves and protected areas. Until a few decades ago, Abruzzo was a region of poverty in Southern Italy; over the past decades, however, it has developed to such an extent that it has escaped from the spiral of underdevelopment to become the 'first' region of the 'Italian Mezzogiorno'. This confirms its pivotal role in the national economic system. Since the 1950s, Abruzzo has had steady economic growth. In 1951, Abruzzo per capita income or GDP was 53% of that of Northern Italy, the nation's richest region. By 1971, Abruzzo was at 65% and, by 1994, per capita income was at 76% of Northern Italy's per capita income, giving Abruzzo the highest per capita GDP of Southern Italy and surpassing the growth of every other region of Italy. The construction of superhighways from Rome to Teramo (A24) and Rome to Pescara (A25) opened Abruzzo to easy access. State and private investment in the region increased, and Abruzzo attained higher per capita education levels and greater productivity growth than the rest of the South. As of 2003, Abruzzo's per capita GDP was €19,506 or 84% of the national average of €23,181 and well outpacing that of the South (€15,808). The region's average GDP per capita was approximately 20,100 EUR. The 2009 L'Aquila earthquake led to a sharp economic slowdown. However, according to statistics at the end of 2010, it seems that the economy of Abruzzo is recovering, despite the negative on regarding employment. In fact, at the end of 2010, Abruzzo's growth was 1.47%, which placed it fourth among the Italian regions with the highest annual growth rates after Lazio, Lombardy and Calabria. In 2011 Abruzzo's economic growth was +2.3%, the highest percentage among the regions of Southern Italy. The region is also the richest region of Southern Italy, with a GDP per capita of €21,574. Travel poster from the 1920s. Abruzzo's industrial sector expanded rapidly, especially in mechanical engineering, transportation equipment and telecommunications. The structure of production in the region reflects the transformation of the economy from agriculture to industry and services. Although industry has developed strongly, it retains weak points due to the existence of only a few large businesses alongside a huge fabric of small and medium-sized businesses. Both pure and applied research are carried out in the region, where there are major institutes and factories involved in research in the fields of pharmaceutics, biomedicine, electronics, aerospace and nuclear physics. The industrial infrastructure is spread throughout the region in industrial zones. The most important of these are: Val Pescara, Val Sangro, Val Trigno, Val Vibrata and Conca del Fucino. A further activity worthy of note is seaside and mountain tourism, which is of considerable importance to the economy of the region. Agriculture, involving small holdings, has succeeded in modernising and offering high-quality products. The mostly small, agricultural holdings produce: wine, cereals, sugar beet, potatoes, olives, vegetables, fruit and dairy products. Traditional products are saffron and liquorice. 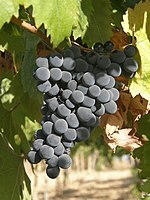 Most famous in the world is Abruzzo's wine Montepulciano d'Abruzzo; in the late 20th and early 21st century, Montepulciano d'Abruzzo earned a reputation as being one of the most widely exported DOC classed wine in Italy. In the past decade, tourism has increased, in particular by internal and European arrivals. Abruzzo is world-famous for its wildlife parks (Abruzzo National Park, Gran Sasso and Monti della Laga National Park, Maiella National Park) and regional park (Sirente Velino), and 38 protected areas between oasis, regional reserves, and state reserves. The inland mountainous region contains several ski resorts, and coastal tourism is also well-developed, in particular, the Trabocchi Coast. Abruzzo's castles and medieval towns, especially around the town of L'Aquila, have earned it in some quarters the nickname of "Abruzzoshire", by analogy with the "Chiantishire", nickname sometimes used to refer to the Chianti area of Tuscany, but Abruzzo is still off the beaten path for most visitors to Italy. Although the population density of Abruzzo has increased over recent decades, it is still well below the Italian national average: in 2008, 123.4 inhabitants per km2, compared to 198.8. In the provinces, the density varies: as of 2008[update] Pescara is the most densely populated with 260.1 inhabitants per km2, whereas L'Aquila is the least densely populated with 61.3 inhabitants per km2, although it has the largest area. After decades of emigration from the region, the main feature of the 1980s is immigration from third world countries. The population increase is due to the positive net migration. Since 1991 more deaths than births were registered in Abruzzo (except for 1999, when their numbers were equal). In 2008, the Italian national institute of statistics ISTAT estimated that 59,749 foreign-born immigrants live in Abruzzo, equal to 4.5% of the total regional population. The most serious demographic imbalance is between the mountainous areas of the interior and the coastal strip. The largest province, L'Aquila, is situated entirely in the interior and has the lowest population density. The movement of the population of Abruzzo from the mountains to the sea has led to the almost complete urbanization of the entire coastal strip especially in the province of Teramo and Chieti. The effects on the interior have been impoverishment and demographic aging, reflected by an activity rate in the province of L'Aquila which is the lowest among the provinces in Abruzzo – accompanied by geological degradation as a result of the absence of conservation measures. In the coastal strip, however, there is such a jumble of accommodations and activities that the environment has been negatively affected. The policy of providing incentives for development has resulted in the setting-up of industrial zones, some of which (Vasto, Avezzano, Carsoli, Gissi, Val Vibrata, Val di Sangro) have made genuine progress, while others (Val Pescara, L'Aquila) have run into trouble after their initial success. The zones of Sulmona and Guardiagrele have turned out to be more or less failures. Outside these zones, the main activities are agriculture and tourism. 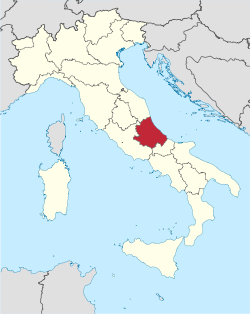 L'Aquila is both the capital city of the Abruzzo region and of the Province of L'Aquila and second largest city (pop. 73,000). L'Aquila was hit by an earthquake on 6 April 2009, which destroyed much of the city centre. 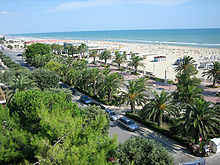 The other provincial capitals are Pescara, which is Abruzzo's largest city and major port (pop. 123,000); Teramo (pop. 55,000) and Chieti (pop. 55,000). Other large municipalities in Abruzzo include Avezzano (pop.41,000), an industrial and high tech center, Vasto (population 40,636), Lanciano (population 36,000), and Sulmona (population 25,000) are three important industrial and touristic centers. Abruzzo International Airport is the only international airport in the region. Open to civilian traffic since 1996, the number of passengers has increased over the years because of low-cost air carriers' use of the facility. Today, the airport has a catchment area of over 500,000 passengers annually and connects the city of Pescara and the entire region with many Italian and Europe destinations. L'Aquila-Preturo Airport is located in the nearby village of Courts and was recently renovated and modernized to accommodate presidential flights for G8 activities. Over the years the Port of Pescara became one of the most important tourist ports of Italy and the Adriatic Sea. Heavily damaged in World War II, it underwent some sixty years of major restoration and was reborn as a modern marina with advanced moorings and shipbuilding facilities. It has been honored with the European Union's blue flag for the quality of services offered. The port of Pescara has lost passenger traffic because of its shallowness and silting, but its fishery and aquaculture activities are thriving. There is a significant disparity between the railways of the Abruzzo coast and the inland areas, which badly need modernization to improve the service, in particular, the Rome-Pescara line. Adriatic railway runs through the whole of Italy from north to south, along the Adriatic Sea. Highway A24 Rome – L'Aquila – Teramo, was built in the 1970s and connects Rome with Lazio and more specifically to the Abruzzo Teramo via L'Aquila. It performs an important liaison function of the region, both Tyrrhenian to the Adriatic, due to the presence of several interchanges of connecting roads and highways. The Gran Sasso tunnel, the longest road tunnel entirely on Italian territory, was opened in 1984. 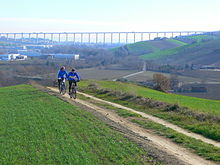 It connects L'Aquila and Teramo on the A24 making the northern Abruzzo coast reachable within two hours from Rome. Highway A25 Turin – Avezzano – Pescara makes the connection between Rome and Pescara. The road running out of Turin begins its journey where it branches off the A24, runs into the Conca del Fucino, crosses the Abruzzo Apennines, comes to the valley of Peligna, and ends at the exit for Pescara-Villanova to join the A14. Motorway A14 Bologna – Taranto known as the A14 "Adriatica", includes 743 km (461.68 mi) of road, including lengths in the cities of Bologna and Taranto. Opened to traffic in 1965, it is now a major tourist road, running through the coastal towns of Emilia Romagna, Marche, Abruzzo, Molise, and Apulia. The museum Museo Archeologico Nazionale d'Abruzzo in Chieti houses the famed warrior statue Warrior of Capestrano which was found in a necropolis from 6th century B.C. Of cultural importance are: Teramo Cathedral, its archeological museum and Roman theater, the Castello della Monica, the Collurania-Teramo Observatory, the famous L'Aquila Basilica of Santa Maria di Collemaggio (which holds the remains of Pope Celestine V), the Museo Nazionale d'Abruzzo, Santa Maria del Suffragio, the Forte Spagnolo, the Fountain of 99 Spouts, Gabriele D'Annunzio's house in Pescara, Campli's Scala Sancta and its church, the church of Santissima Annunziata in Sulmona, the cathedrals of Chieti, Lanciano, Guardiagrele, Atri and Pescara along with the castles of Ortona, Celano and Ortucchio. Every August 28–29, L'Aquila's Santa Maria di Collemaggio commemorates the Perdonanza Celestiniana, the indulgence issued by Pope Celestine V to any who, "truly repentant and confessed" would visit that Church from the Vespers of the vigil to the vespers of 29 August. Sulmona's Holy Week is commemorated with traditional celebrations and rituals, such as 'La Madonna che Scappa in Piazza', where a large statue of the Madonna, carried by a group of Sulmonesi part of Confraternities, is taken through the square towards her resurrected Son. Cocullo, in the province of L'Aquila, holds the annual 'Festa dei serpari' (festival of snake handlers) in which a statue of St. Dominic, covered with live snakes, is carried in a procession through the town; it attracts thousands of Italian and foreign visitors. In many Abruzzo villages, Anthony the Great's feast is celebrated in January with massive and scenic bonfires. In the past, the region of Abruzzo was well known for the transumanza, the migratory movement of sheep principally south to the region of Puglia during the cold winter months. The Feast of St. Biagio, protector of wool dealers, is the most widespread in Abruzzo. On the third of February in Taranta Peligna every year since the sixteenth century an evocative ritual is carried out, entailing the distribution of panicelle, which are small loaves made of flour and water, in the shape of a blessing hand, which are distributed to the faithful. 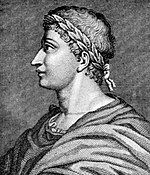 Historical figures include: the Roman orator Asinius Pollio; Latin poets Sallust and Ovid, who were born in L'Aquila and Sulmona respectively, Gaius Cassius Longinus, Roman senator and leading instigator of the plot to kill Julius Caesar; and Pontius Pilate, who was born in the province of Teramo and is best known for authorizing the crucifixion of Jesus. Abruzzo's religious personalities include Saint Berardo; John of Capistrano, who led a crusade against the Ottoman Empire; Thomas of Celano, author of three hagiographies about Saint Francis of Assisi; and Alessandro Valignano, who introduced Catholicism to the Far East and Japan. The Polish Pope John Paul II loved the mountains of Abruzzo, where he would retire often and pray in the church of San Pietro della Ienca. When he died, Cardinal Stanislaw Dziwisz, gave the local Abruzzo community some of the late pontiff's blood as a token of the love he had felt for the mountainous area. 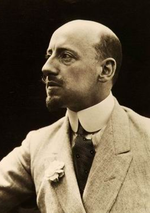 The greatest Italian poet of the 20th century Gabriele D'Annunzio was from Pescara; other notable Abruzzo personalities in the field of humanities include: poet Ignazio Silone, director Ennio Flaiano who co-wrote La dolce vita, philosopher Benedetto Croce, composer Sir Paolo Tosti and the sculptor Venanzo Crocetti. American artists and celebrities such as: Madonna, Dean Martin, Bradley Cooper, Perry Como, Henry Mancini, Nancy Pelosi, Rocky Marciano, Rocky Mattioli, Bruno Sammartino, Mario Batali, John and Dan Fante, Tommy Lasorda, Dan Marino, Mario Lanza, Garry Marshall, Penny Marshall, Al Martino, Ariana Grande and Canadian Michael Bublé have Abruzzo origins. Some international movies shot in Abruzzo include The American, Jean-Jacques Annaud's The Name of the Rose, Fellini's La Strada and I Vitelloni, Schwarzenegger's Red Sonja, Ladyhawke, King David, Francesco, Keoma, The Barbarians, The Fox and the Child and Krull. For most of its history, a large number of the Abruzzese people were, and still are, a hill people, often working as shepherds in mountainous areas, or establishing hill towns, especially in the parts of Abruzzo further from the Adriatic coast. Before the 2009 earthquake, Abruzzo was the region with the highest number of castles and hill towns in Italy, but it still holds many of Italy's best-preserved medieval and Renaissance hill towns, twenty of which are designated as The Most Beautiful Villages in Italy, 2nd only to Umbria, which has twenty-two. These awards are not only for aesthetic beauty but also for art and culture, historical importance and livability. The abrupt decline of Abruzzo's agricultural economy in the early to mid-20th-century saved some of the region's historic hill towns from modern development. Many lie entirely within regional and national parks. Among the most well preserved are Castel del Monte and Santo Stefano di Sessanio, which lie in the Gran Sasso National Park on the edge of the high plain of Campo Imperatore and nestled beneath the Apennines' highest peaks. Both hill towns, which were ruled by the Medicis for over a century-and-a-half, have relatively little tourism. 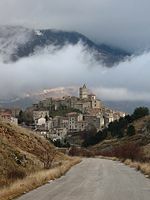 Between the two towns sits Rocca Calascio, the ruin of an ancient fortress popular with filmmakers. Both Monteferrante and Roccascalegna are two of the most representative Abruzzo villages in the province of Chieti. Within the Gran Sasso National Park is also found Castelli, an ancient pottery center whose artisans produced ceramics for most of the royal houses of Europe. Civitella del Tronto played a crucial role in the history of the unification of Italy. The fortress of Civitella is the most visited monument in the Abruzzo region today. 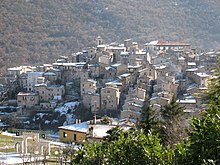 Other medieval hill towns located fully within Abruzzo's park system are Pacentro in the Maiella National Park and Pescasseroli in the Abruzzo National Park. Pacentro, which features a 14th-century castle with two intact towers, has been little touched by modernisation. The Shrine of Gabriel of Our Lady of Sorrows, in the province of Teramo, which attracts some two million visitors per year, is one of the 15 most-visited sanctuaries in the world. Capestrano, a small town in the province of L'Aquila, is the hometown of Saint John of Capistrano, Franciscan friar and Catholic priest, as well as the namesake of the Franciscan missions San Juan Capistrano in Southern California, the mission Mission San Juan Capistrano (Texas) and the city of San Juan Capistrano in Orange County. Giulianova is a notable example of a Renaissance "ideal city." The proximity to Rome, the protected natural reserves and landscapes which make the region one of the greenest in Europe, the presence of some of the most beautiful Italian villages, its rich and heterogeneous gastronomy, along with a long history of deep-rooted local tradition and authentic Italian culture, make Abruzzo fifth among Italian regions for tourist visits after Calabria, Marche, Sardinia and Trentino. In 2010, visitors included 6,381,067 Italians and 925,884 foreign tourists. In 2015, the American organization Live and Invest Overseas included Abruzzo on its list of World's Top 21 Overseas Retirement Havens. The study was based on such factors as climate, infrastructure, health care, safety, taxes, cost of living and more. In 2017 the Chamber of Commerce of Pescara presented Abruzzo region to the Annual conference of Live and Invest Overseas in Orlando (USA). One year later, in October 2018, Live and Invest Overseas held its first conference in Abruzzo. Campus of University "Gabriele d'Annunzio"
Between the province of Teramo and L'Aquila, under the Gran Sasso Tunnel, is the Laboratori Nazionali del Gran Sasso (LNGS) of the INFN, one of the three underground astroparticle laboratories in Europe. The Istituto Zooprofilattico Sperimentale dell'Abruzzo e del Molise "Giuseppe Caporale" , which conducts research in veterinary and environmental public health, is located in Teramo. The Gran Sasso Science Institute, located in L'Aquila, is an advanced research institute which offers doctorates in astroparticle physics, computer science, and mathematics as well as urban studies and regional science, and which also conducts scientific research. Interamnia World Cup, the largest international youth handball competition worldwide, takes place yearly in Teramo. There are several football clubs in Abruzzo. Delfino Pescara 1936 is a Serie B club; based in Pescara, its home stadium is Stadio Adriatico – Giovanni Cornacchia. Also from Teramo are the spreadable sausages flavored with nutmeg, and liver sausages tasting of garlic and spices. The ventricina from the Vasto area is made with large pieces of fat and lean pork, pressed and seasoned with powdered sweet peppers and fennel all encased in the dehydrated stomach of the pig itself. Atri and Rivisondoli are famous for cheeses. Mozzarella, either fresh or seasoned, is made from ewe's milk, although a great number of lesser known varieties of these cheeses can be found all over Abruzzo and Molise. A Montepulciano d'Abruzzo wine labelled as being made from old vines. The extra-virgin olive oil produced in Colline Teramane (Teramo hills) is marked by the DOP. The region has several cultivars that includes Carboncella, Dritta (Dritta Francavillese and Dritta di Moscufo), Gentile del Chieti, Nostrana (Nostrana di Brisighella), and Sargano olive cultivars. Renowned wines like Montepulciano DOCG and Trebbiano d'Abruzzo DOC are judged to be amongst the world's finest. In 2012, a bottle of Trebbiano d'Abruzzo ranked No. 1 in the top 50 Italian wine awards. ^ Paolo Di Vincenzo (11 February 2010). "'Dialetti d'Italia'. Canzoni regionali in un doppio cd" (in Italian). il Centro. ^ "Eurostat – Tables, Graphs and Maps Interface (TGM) table". European Commission. 12 August 2011. Retrieved 15 September 2011. ^ "EUROPA Press Releases – Regional GDP per inhabitant in 2008 GDP per inhabitant ranged from 28% of the EU27 average in Severozapaden in Bulgaria to 343% in Inner London" (Press release). Europa (web portal). Archived from the original on 12 February 2012. Retrieved 2013-10-08. ^ "Laquilacapitale". Archived from the original on 15 February 2015. ^ "Parco Nazionale d'Abruzzo Lazio e Molise – Natura – Fauna". ^ "I parchi in Abruzzo". ^ "Abruzzo: Forte e Gentile, definizione di Primo Levi, giornalista e diplomatico, nel sito di vastospa". Archived from the original on 2 September 2012. ^ a b "WineCountry.it Abruzzo wine region of Italy". winecountry.it. Retrieved 8 October 2009. ^ "Italy Guide: Abruzzo Region". Comuni-Italiani.it. ^ Collier, Martin (2003). Italian unification, 1820–71. Oxford: Heinemann. p. 2. ISBN 9780435327545. ^ Domenico, Roy Palmer (2002). The regions of Italy; a reference guide. Greenwood. p. 4. ^ Lett, Brian (2014). An extraordinary Italian imprisonment : the brutal truth of Campo 21, 1942–3. Barnsley: Pen and Sword. ^ "Abruzzo" (PDF). Archived from the original (PDF) on 1 February 2014. ^ Sam Dunham (17 August 2008). "Abruzzo Annual Weather Forecast". Life in Abruzzo. Retrieved 15 August 2016. ^ a b c "The Region Abruzzo". ^ "Region Abruzzo". Immobiliare Caserio resources. ^ "Parco Nazionale d'Abruzzo (in English)". Retrieved 29 May 2013. ^ "EUROPA Press Releases – Regional GDP per inhabitant in the EU27, GDP per inhabitant in 2006 ranged from 25% of the EU27 average in Nord-Est in Romania to 336% in Inner London". Europa (web portal). 19 February 2009. Retrieved 15 September 2011. ^ "Economic and energy framework in 2005" (PDF). Archived from the original (PDF) on 13 June 2010. ^ Helg, Rodolfo; Peri, Giovanni; Viesti, Gianfranco. "Abruzzo and Sicily: Catching up and lagging behind" (PDF). Archived from the original (PDF) on 19 February 2014. Retrieved 15 August 2016. ^ "Abruzzo and Sicily: Catching up and lagging behind, EIB Papers vol. 5, No. 1 (2000)" (PDF). Archived from the original (PDF) on 27 March 2009. Retrieved 22 April 2010. ^ "Eurostat". Europa (web portal). Archived from the original on 26 January 2010. Retrieved 22 May 2009. 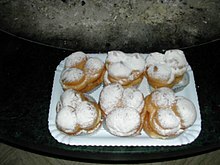 ^ "Abruzzo". Italian Tourism Official Website. ^ a b "Eurostat". Europa (web portal). Archived from the original on 1 February 2009. Retrieved 22 May 2009. ^ "Abruzzo International Airport – flights information Pescara, Abruzzo, Italy". Abruzzoairport.com. Archived from the original on 12 March 2013. Retrieved 2013-03-12. ^ "Marina of Pescara". Marinape.com. 31 January 2011. Retrieved 12 March 2013. ^ "The Perdonanza with images of 1998, 1999 and 2000". ^ "In Sulmona, Easter Drama in the Piazza". The New York Times. 7 April 1985. ^ Delicious Italy Team. 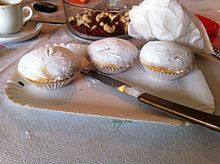 "Delicious Italy Easter in Sulmona". ^ Lucio D'Andrea. "Along the Shepherd's Tracks Tratturi and Transumanza" (PDF). Archived from the original (PDF) on 5 October 2011. ^ "Pope John Paul II's blood stolen from church in Italy". The Guardian. Reuters. Archived from the original on 28 January 2014. In 2011, John Paul [II]'s former private secretary, Cardinal Stanislaw Dziwisz, gave the local Abruzzo community some of the late pontiff's blood as a token of the love he had felt for the mountainous area. ^ "I Borghi più belli d'Italia". ^ "Serenissimi e borbonici insieme per disfare l'Italia". ^ "Shrine of Saint Gabriele dell'Addolorata – Isola del Gran Sassoo". turismo.provincia.teramo.it. ^ "Movimento dei clienti negli esercizi ricettivi – Dati definitivi". Retrieved 12 August 2012. ^ Kathleen Peddicord. "World's Top 21 Retirement Havens". Live and Invest Overseas. ^ Monia Di Guilmi. "Abruzzo, one of the best places in the world to retire". Abruzzo Rural Property. Retrieved 16 November 2018. ^ "Harvard Summer Program in Umbria and Abruzzo, Italy". Archived from the original on 2 February 2014. ^ "È l'Abruzzo la regione dove si mangia meglio". Bompensa Oleificio e Azienda Agricola. Archived from the original on 3 February 2014. 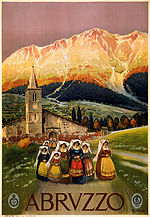 ^ "Abruzzo and Molise Heritage Society". Abruzzomoliseheritagesociety.org. Archived from the original on 9 March 2013. Retrieved 12 March 2013. ^ "Gastronomy, Typical Specialties of Abruzzi Cuisine". Hotel Poseidon Tortoreto. Archived from the original on 12 January 2011. Retrieved 15 August 2016. ^ "Italian Wine Regions – Grapes and Wine Production". WineCountry.it. Archived from the original on 7 January 2004. Retrieved 15 August 2016. 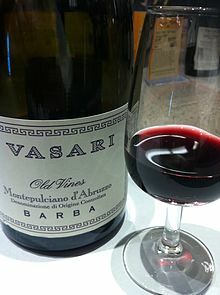 ^ "WineNews – The best Italian wine is Trebbiano d'Abruzzo 2007 by Valentini, then Barolo Reserve Monprivato Cà d'Morissio 2004 by Morello and Sassicaia 2009 by San Guido Estate. The "Best Italian Wine Awards-The 50 Best Wines of Italy" – Visualizzazione per stampa". Archived from the original on 10 November 2014. 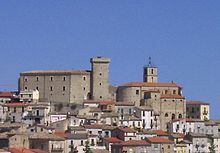 Wikimedia Commons has media related to Abruzzo. 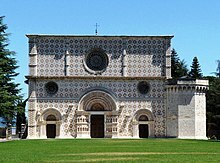 Wikivoyage has a travel guide for Abruzzo.